Making homemade waffle ice cream cones was one of the baking projects I had in mind for a lot of years. I had tried once before but it was almost a disaster. I admit that without the waffle-cone maker it was a little bit difficult and the cones turned to be not so “attractive” as I imagined. 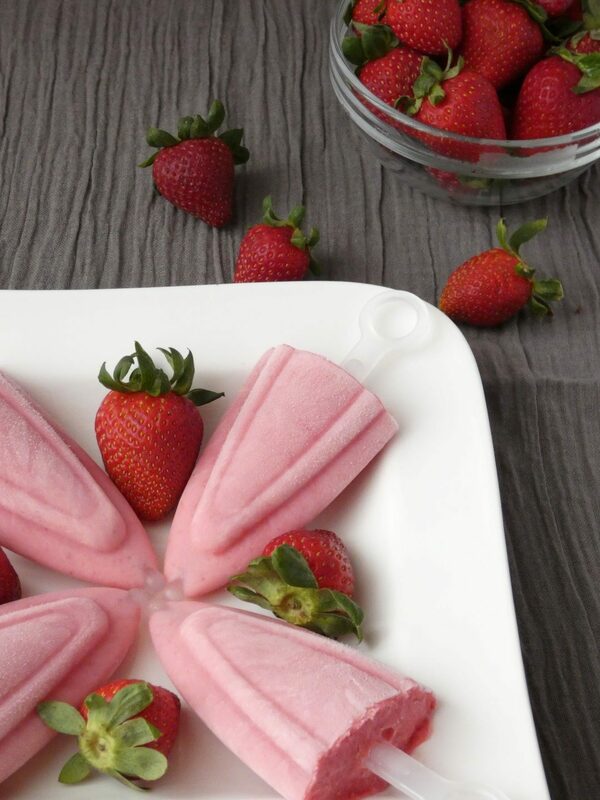 The appearance is as important as the taste for me and an ice cream cone without that beautiful pattern on it or not so well shaped it is a waste of time. So when I finally get a waffle-cone maker it was time for me to do another try. And it was a hit! Delicious, crispy, beautifully shaped and definitely “attractive” ice cream cones and all made by me. I was excited! 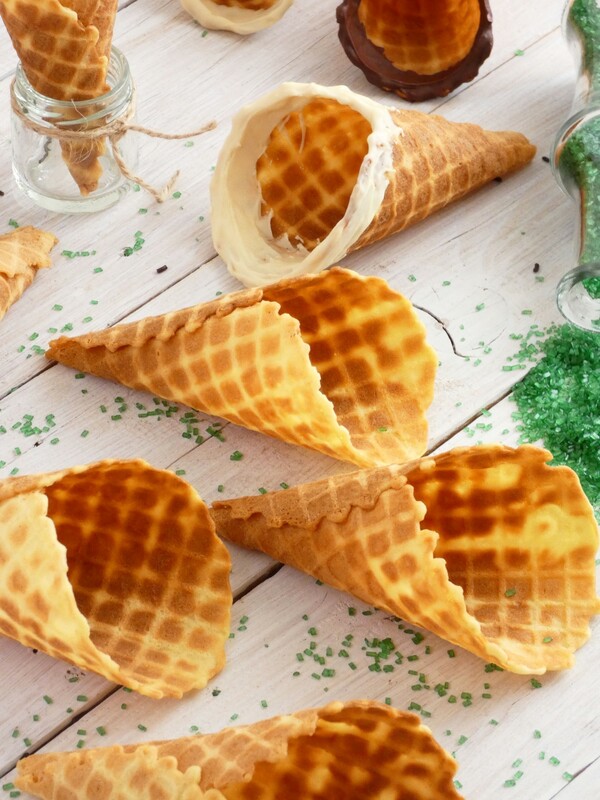 It is easy to buy some cones to serve your ice cream but if you are like me and you prefer everything homemade or find it rewarding to make goodies with your own hands it is time you buy a waffle-cone maker! The batter is a simple waffle batter made with eggs, butter, flour, sugar and water whisked together until well combined. Nothing difficult or complicated. However there are some things that you have to be careful about. First of all have in mind that when you get the waffle out of the machine it will be very hot! Very very hot!! So be careful and put a kitchen towel beside the machine to put the waffle after removing it from the machine. Also you have to use another towel or a glove to protect your hand from heating when you roll the waffle around the cone roller. With one hand fold one edge of the waffle on the roller and with the other turn the roller to form the cone. Hold for some seconds to harden and keep the cone shape. Another thing is that you have to work quickly because the waffles harden in seconds after removing from the machine. After 2 or 3 tries I think you will manage. Also try not to make a hole at the bottom of the cone. This is a little difficult and if it will be a hole after all don’t worry. 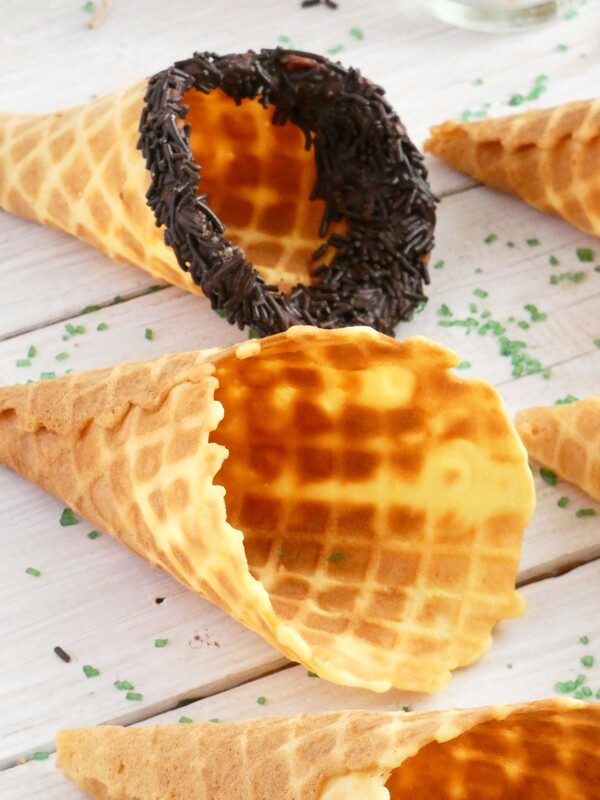 Drop a little melted chocolate inside the cone. When the chocolate hardens it will seal the bottom so no ice cream leaks will happen. Of course there is a fun part too in all this procedure! Decorating the cones! This is a part that your imagination is taking the leading role! Melt chocolate, dark or white and dip the top of each cone in. Let the excess chocolate drip for a while and then dip them again into chocolate sprinkles or rainbow sprinkles or coconut flakes or chopped nuts (almonds, walnuts, hazelnuts, pistachios) or whatever you like. Plain or just with chocolate are heavenly delicious too! In a big bowl whisk sugar and eggs together until fluffy about 2-3 minutes. Gradually add all the other ingredients and whisk until well combined. Preheat the waffle-cone maker on medium-high. Place a clean kitchen towel beside the machine so you can put the waffles when remove from the machine. You must also have another towel or a glove to handle the waffles while forming the cone because it will be very hot. Add 2 tablespoons of the batter in the center of the waffle-cone maker, close the lid and cook for 2-3 minutes until golden brown. Using a wooden spatula remove the waffle from the machine and place it to the kitchen towel. Form the cones using the cone roller. You must do that as quickly as possible because the waffle will harden in seconds after removing from the machine. After rolling the waffle around the cone hold for some seconds to harden and keep its shape. 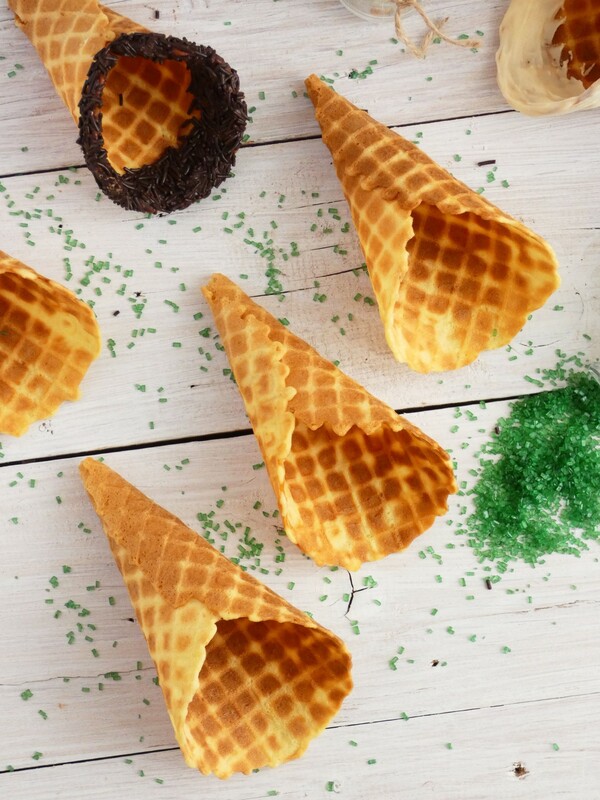 You can decorate the cones with melted chocolate and sprinkles or nuts. 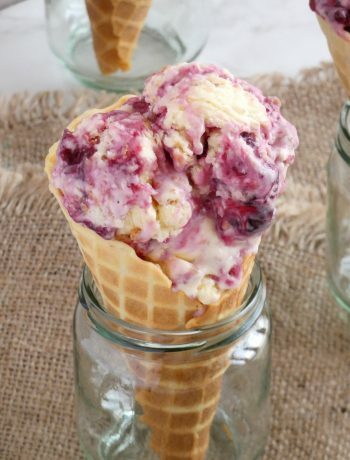 Store the ice cream cones in an airtight container for 2-4 days. Because every machine is different you may have to do some adjustments to heat or time of cooking. Maybe the first two or three cones will not be very good but if you figure out the right adjustments for your machine it will be a piece of cake. 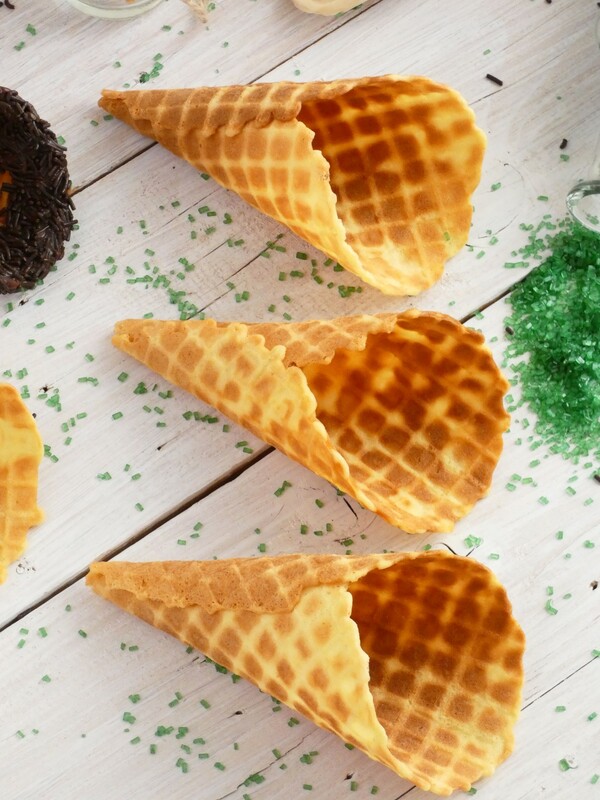 The size of the cones depends on how much batter you use. 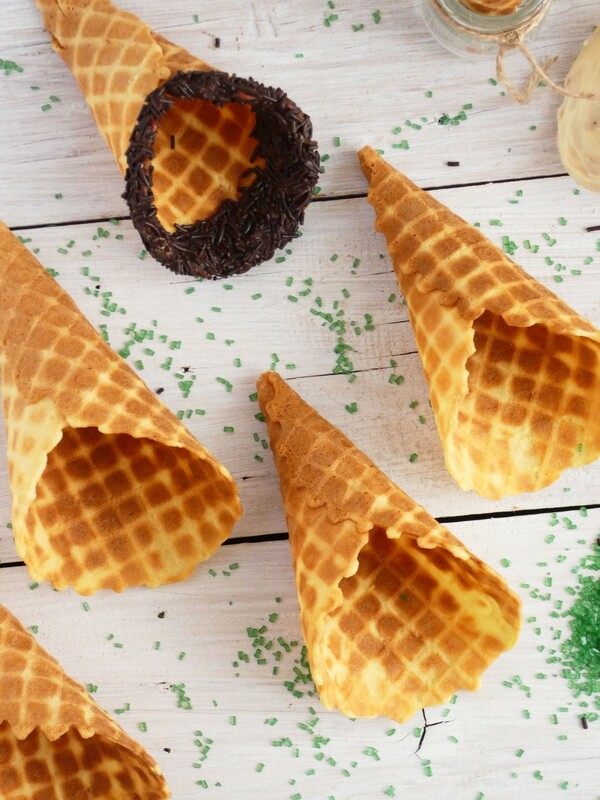 For large cones use 3 tablespoons, for medium 2 tablespoons or 1 tablespoon for small. I prefer medium and small.